Here at Babame, we know that children love animals. So with that in mind, we have a fantastic range of wooden animals and farm toys including wooden farmyards, tractors and trailers, wooden animals, and farmers. In fact everything you need to build a wooden farm set that is perfect for you. 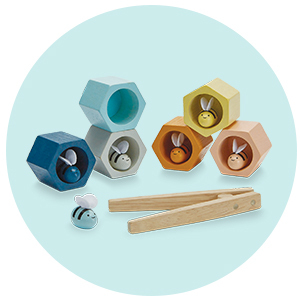 A wooden farm set is an ideal toy for small world play. Encourage imagination and storytelling as children set up their farmyard and act out all sorts of scenarios. They might be herding cows, ploughing the fields, picking apples or taking vegetables to the market. All while building language and vocabulary skills and learning about the world around them. 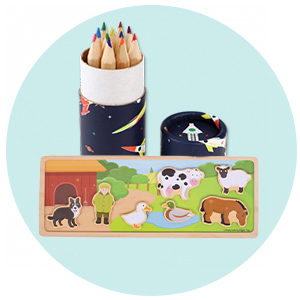 A wooden farm set makes a fabulous educational toy for introducing children to the idea of where their food comes from, the seasons and how to look after animals, as well as skills such as counting and building. Playing with children helps them to develop their imagination and capacity for narrative thought. Start by setting the scene and then think of simple things you could do. Maybe the farmer needs to feed the chickens in the yard or bring the cows in for milking. They’ll soon get the idea and start playing along. Choosing your wooden farm set. We have a great range of wooden farm sets and buildings to choose from depending on the amount of space you have, your taste and budget. The Big Jigs Mini Farm Playset is ideal if you have limited space (or just lots of toys), or are looking for something you can take with you. 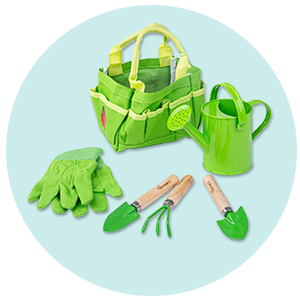 It’s a great set to take on holiday, perfect for visiting relatives and lots of fun for children to simply pack up and carry with them around the house. This set would make a great Christmas or birthday gift as it has everything you need to start playing. The set comes with a farmer and his wife, a cow, a pig, a sheep, a horse, a duck and a chicken. As well as tree’s, fences a duck pond and even a little veg patch growing carrots. All of which packs away in the barn ready to take with you wherever you go. The only thing missing is a tractor but there are plenty of those to choose from. 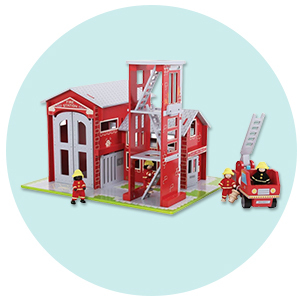 The Big Jogs mini playset range also includes a hospital and a fire station, perfect for creating a whole miniature world for them to immerse themselves in. If you like to keep things simple and have a love of open-ended toys that can have multiple functions then we think you will love the Ostheimer and Holztiger dolls houses, or the Ostheimer Stable. These beautiful wooden buildings are perfect for small world play and make great barns or farm buildings. Yet are simple enough that they can be used for a nativity scene at Christmas or a dolls house. And the Ostheimer Stable although perfect for horses would make an equally fabulous home for pigs, cows, chickens and sheep. This is a great route to go if you are torn between a dolls house and a farm set. Or if you already have a collection of Holztiger or Ostheimer animals that need a home. 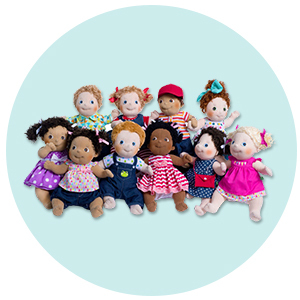 Both of these brands specialise in handcrafted toys that will inspire and delight children and become treasured possessions to hand down to the next generation. 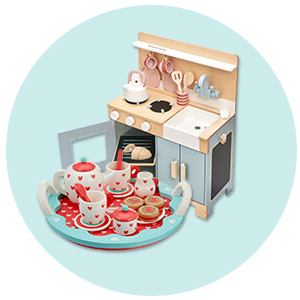 And of course, they make equally wonderful homes for any of our other wooden animals and dolls house dolls. There are a few options available if you wanted to go all out and get a complete farmyard scene. 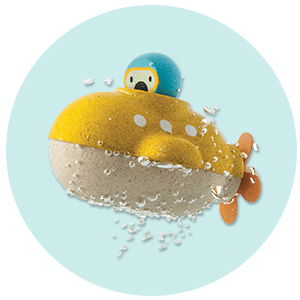 We love the Big Jigs Play Farm and meadow farm, and Oldfield Farm by Tidlo is a classic toy. 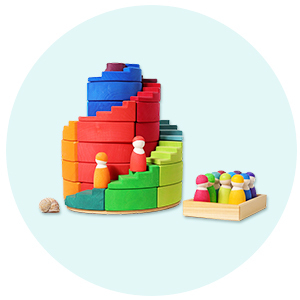 The Big Jigs Play farm is great if you appreciate the ability to be able to pack toys away. The base of this wooden farm set is made up of six puzzle pieces for you or your child to put together and the farm buildings and Windmill come ready assembled so there’s no screwdriver required on Christmas morning. 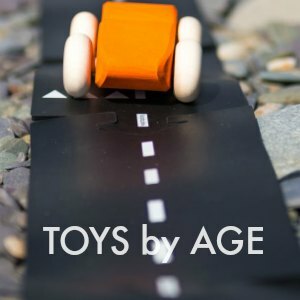 The set comes with lots of animals and accessories and is a great value all in one toy that will inspire hours of creative and imaginative play. The farmers can keep busy mucking out the stables, tending the vegetables or maintaining the windmill, while the animals graze, feed or swim. You even get little buckets, a wheelbarrow and a tractor toy. The other Big Jigs wooden farm set, Meadow Farm is a flat pack farm set that comes with animals, a farmer and her husband a tractor and lots of other accessories. It all slots together and can be taken apart again so it's easy to put together, and comes complete with everything you need to start playing. The size is perfect for Holztiger as well so this makes a great starter set that you can gradually fill with more wooden animals over time. Finally, the Tidlo Farm has been one of our best sellers for years. The Oldfield Farm wooden farm set is just the buildings, fence pieces and baseboards. The baseboard splits into two and the buildings can be placed wherever you like. You do need a screwdriver to set this one up but it’s well worth it. This wooden farm set obviously works perfectly with the Tidlo Farm Animals and the Tidlo Farming Family. The Tidlo tractor is also pretty much to scale and can be driven by the farmer to deliver hay to the animals or take the animals to market. Although it also works perfectly with any of the other dolls house size dolls or puppets and the Holztiger and Ostheimer animals. Often overlooked the Ostheimer Rainbow Rider wooden farm set is a beautiful open-ended play set that includes two horses, two Jockeys/riders, two other wooden figures, and 30 wooden play pieces. These include a variety of different shaped and sized rainbow coloured blocks as well as poles for creating jumps and fences. This is a lovely play set that is perfect for little horse lovers and would make a brilliant addition to any collection of open-ended toys. It packs away neatly for display and storage. And it works well with the rest of Ostheimer's range of buildings, animals and accessories. 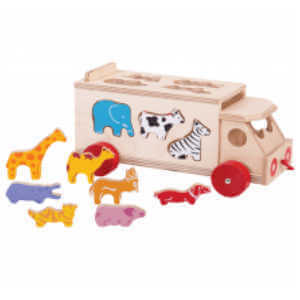 Get fast free shipping on all our wooden farm sets wooden animals, farmers, stables and farming accessories when you spend over £40. And enjoy peace of mind with our 30 days no quibble returns policy.